Explore the famous monuments and war memorials of Washington, DC after dark on this private 3-hour, sightseeing and dinner tour. Hop aboard a comfortable van and experience an educational and entertaining narrated history of the nation’s capital. 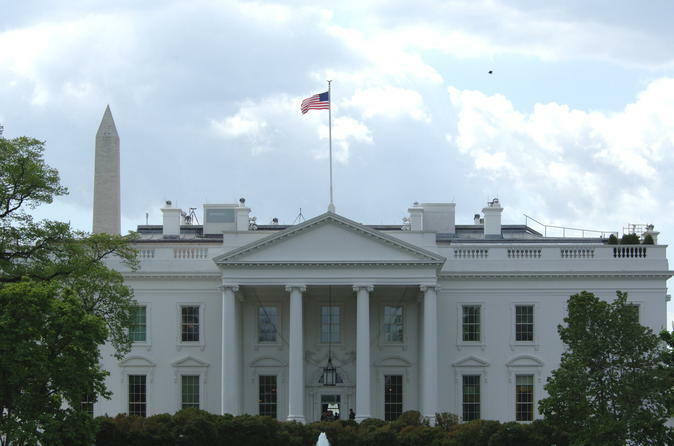 See the White House and the United States Capitol, plus the Lincoln Memorial, the Vietnam Veterans Memorial, the Martin Luther King, Jr. Memorial, the National Mall, and more. The itinerary will be customized to individual preferences. This is a very popular tour among business travelers. After a local hotel pickup, choose a favorite dining establishment (own expense) to visit. Enjoy a great meal and beverage for 1 hour, then visit the highlights of Washington, DC for two hours. Select from more than 50 of the wonderful sites around the Nation's Capitol. Visit Capitol Hill for a stop at the United States Capitol Building, United States Supreme Court, Thomas Jefferson Building, the Library of Congress, and the United States Supreme Court. Ride along the National Mall to see the Smithsonian Museums and the Washington Monument by the light of night. Visit the Lincoln Memorial, the Thomas Jefferson Memorial, the Martin Luther King Jr. Memorial, and the National World War II Memorial. The tour ends with a visit to the much-anticipated north gate of the White House, then a DC hotel drop-off. Snacks and beverages are permitted on the bus, but not at the memorials. Pictures of the Pentagon are not permitted for publication. This is an interactive tour. All questions are welcomed.